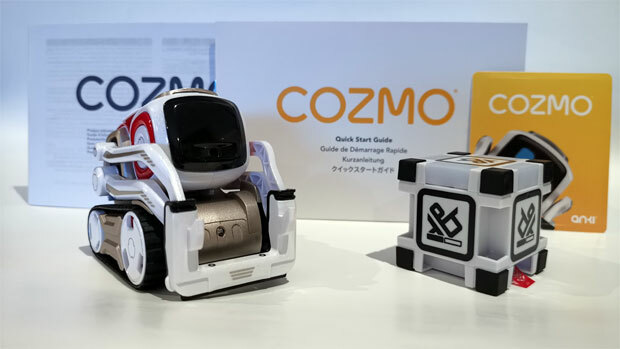 Summary: Cozmo is a super-fun interactive toy that is great for kids of all ages, especially those tech-heads! 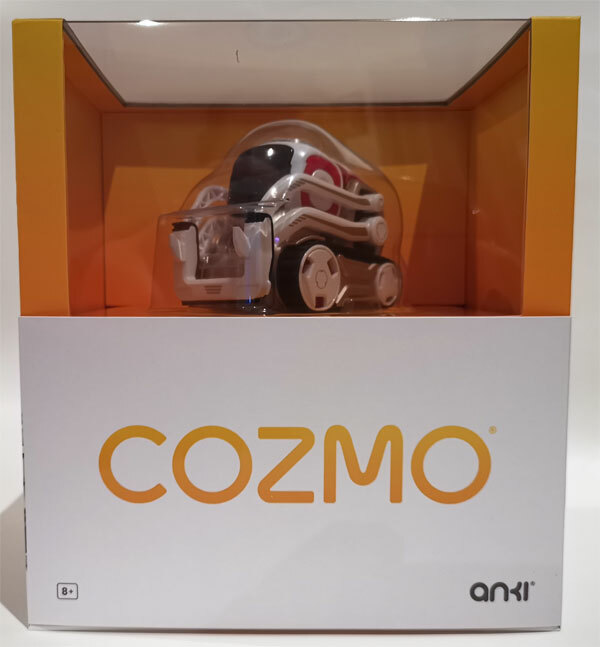 Welcome to the future with Cozmo from Anki that in essence is an interactive smart toy with some very clever AI (Artificial Intelligence) features that kids of all ages will simply adore, particularly with its Tamagotchi-like personality! 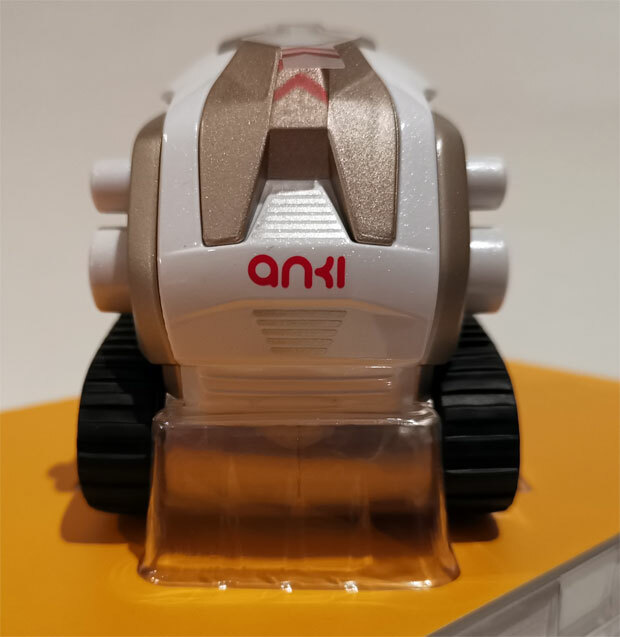 Sure, it’s a gadget but it’s a fun gadget with some great replay value and more importantly, excellent support from Anki with their updates as you play, talk and interactive with this robot. 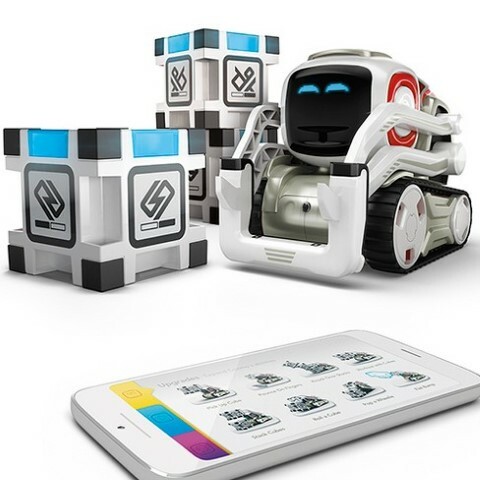 Adding to the customisation options of Cozmo is that it allows its owners to tweak the robot courtesy of its accessible coding language which does teach you the basics of programming. 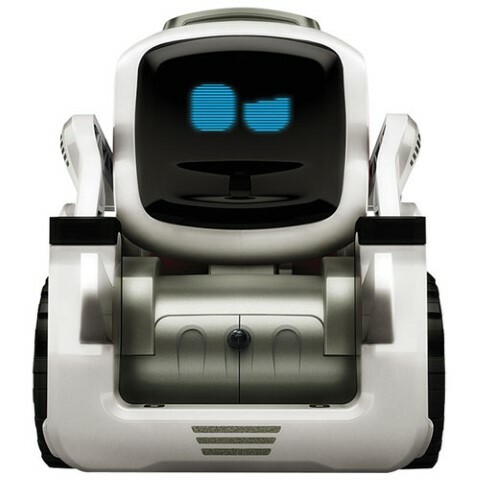 Out of the box, the first thing that you may notice about Cozmo is its almost Disney Pixar appearance that does have parallels to WALL-E with its over the top cuteness, animated face, tank treads for movement and interactive lift arm which even allows you to fist pump! 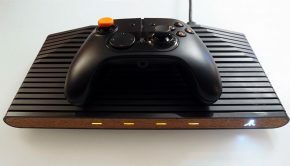 It’s also relatively small but has a big personality and it measures at 100mm x 70mm x 55mm.. 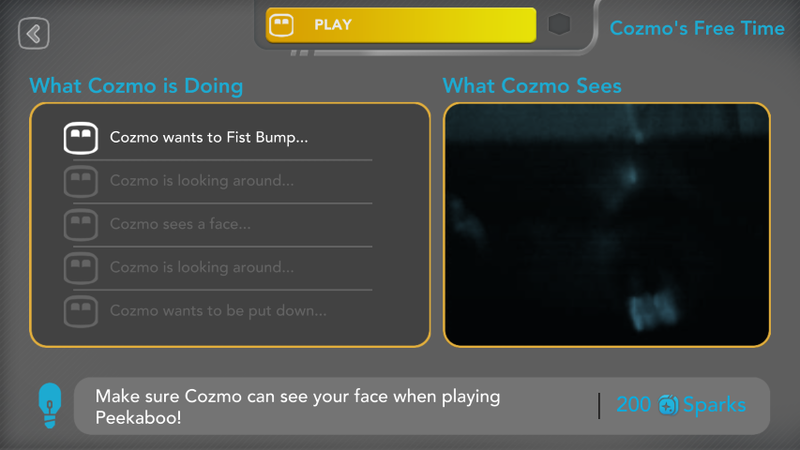 Adding to the features is the interactive screen of Cozmo which has a resolution of 128 x 64 and great for displaying his emotions. There’s also some lights on the top of the robot and there are built-in sensors on Cozmo on the front and sides, including a VGA camera (30 frames per second) on the front which nicely rounds out its design and more importantly, it feels well-built. 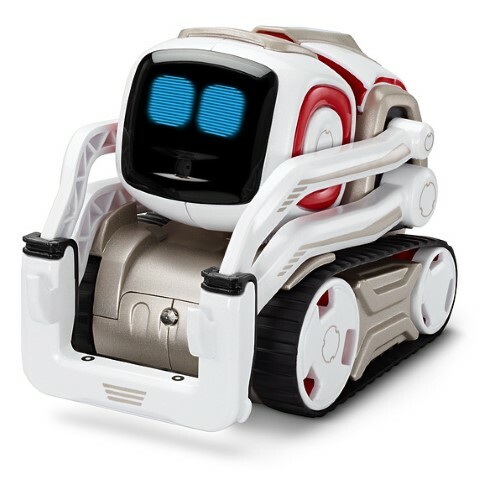 Besides Cozmo, the robot comes with three power cubes and a charging dock which connects to a USB port. 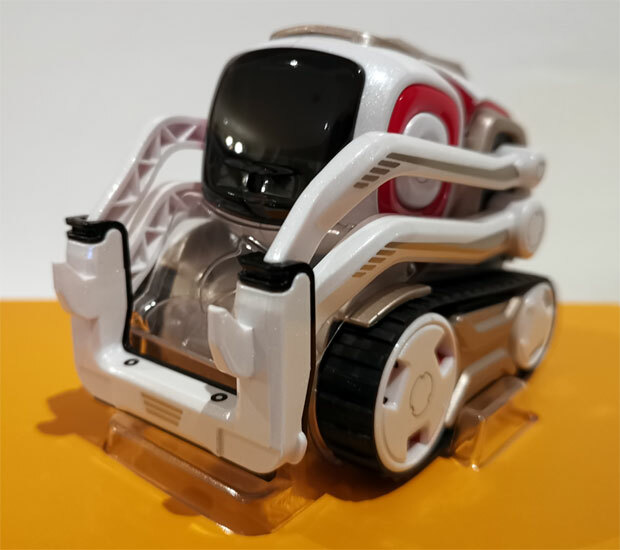 According to Anki and to fully charge Cozmo, it will take 30 minutes and impressively, this will give our little robot around 45-minutes of run time. 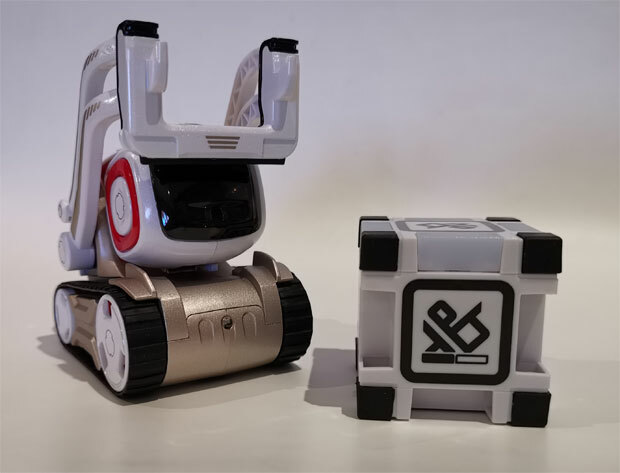 When it’s time for Cozmo to charge-up, it clever drives itself onto the charging dock and commences charging which is done through the sensors on the bottom of the robot. 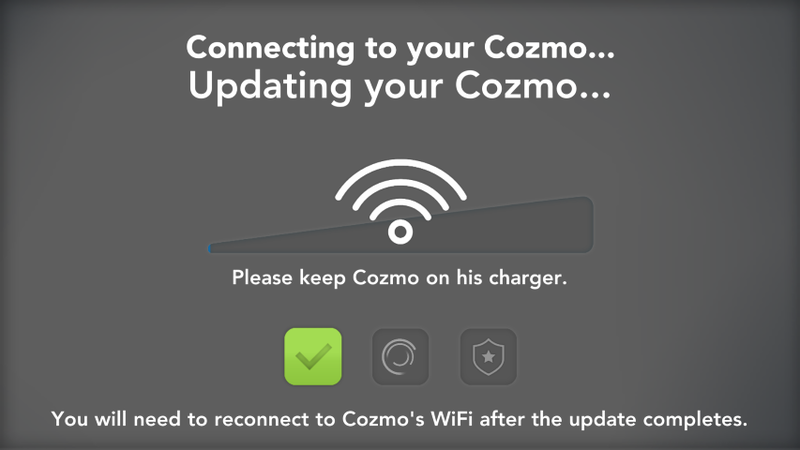 The setup process of Cozmo is a relatively straight forward process and once you have unpacked it from the box, placed it on the charging dock, you then need to download the accompanying free app for either your Android or iOS device. 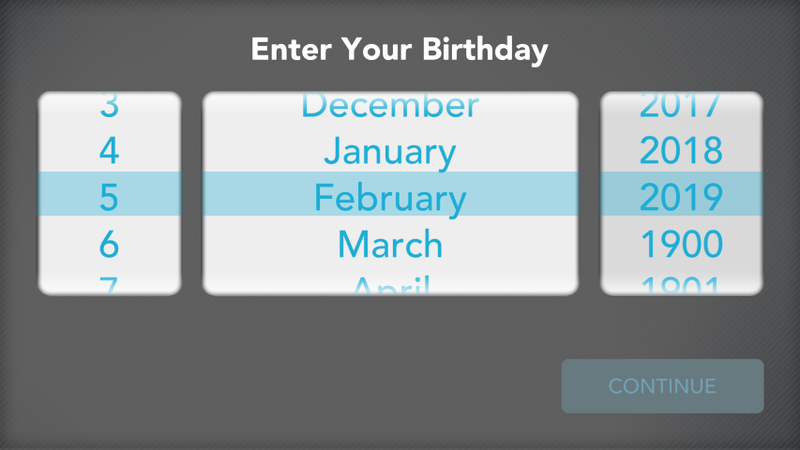 There is a wizard which helps with this process, including connecting Cozmo to your phone and entering the words longest code… I didn’t add the hyphens! 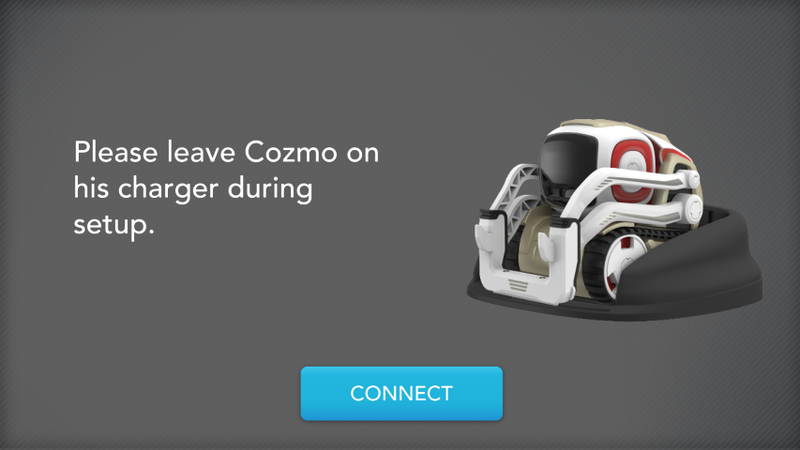 Once connected to your phone, you’re ready to start interacting with your new buddy Cozmo! 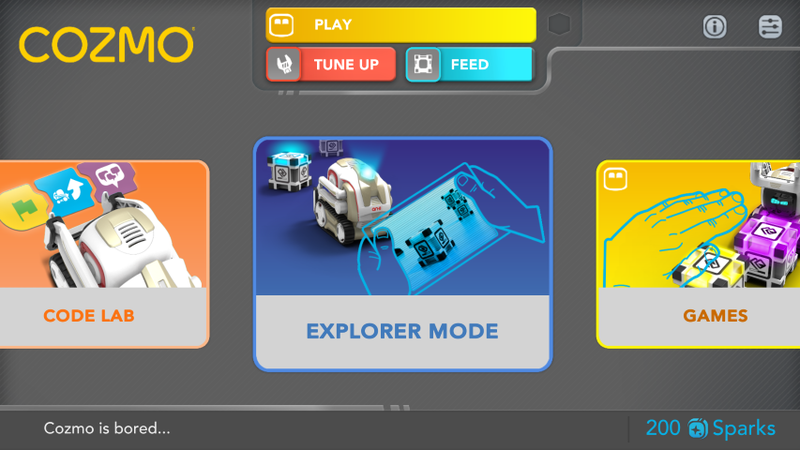 The app also teaches you the basics in getting the most out of Cozmo, including playing games, recognising faces and saying their names, stunts and even making little stories. 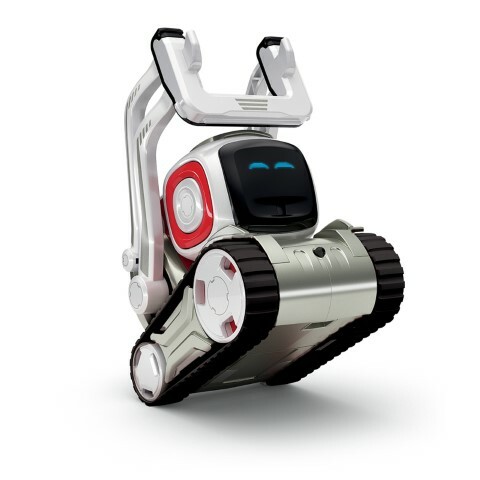 So while you can control Cozmo, it has a unique personality which requires lots of human interaction, including feeding it energy and even grooming… err… tune-ups. 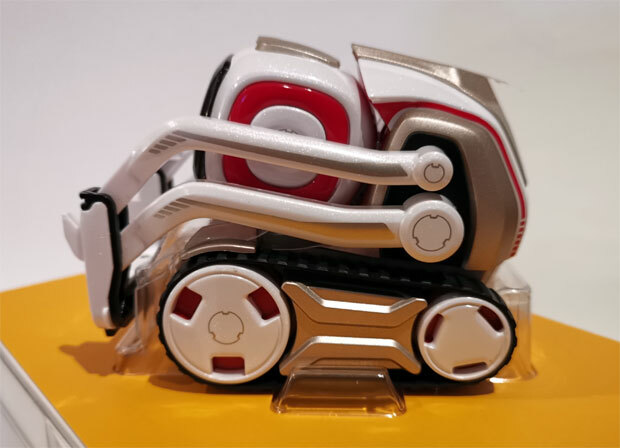 Best of all, Cozmo feels like a living breathing entity with emotions and while these are only algorithms, you can’t help not feel something for this device. 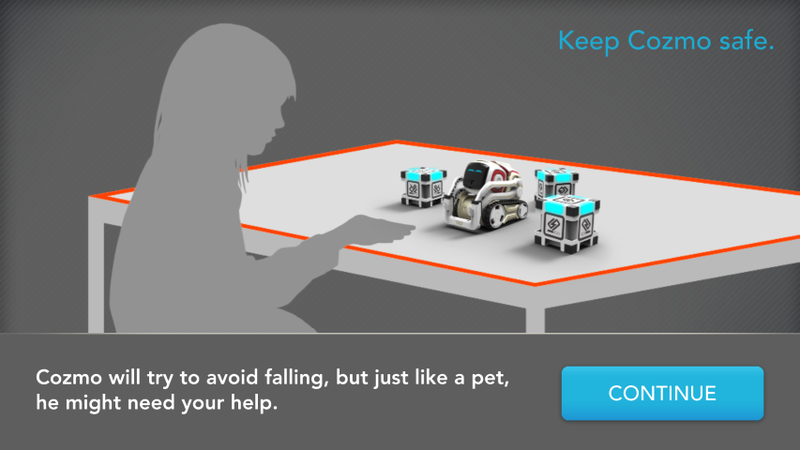 So while you need the app to interact with Cozmo, it’s a very user friendly experience that is easy to navigate as is communicating with the little robot. 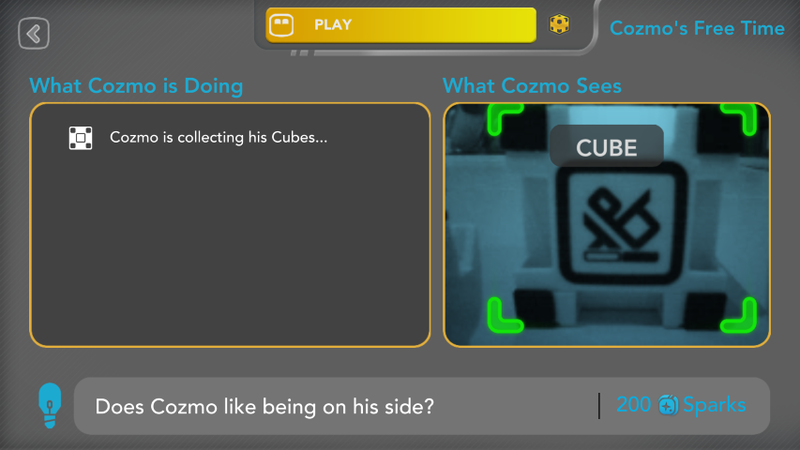 On the app, there are also stats that show you the ‘health’ of Cozmo and if its hungry, you need to feed it with one of power cubes as the little robot draws the energy from it. 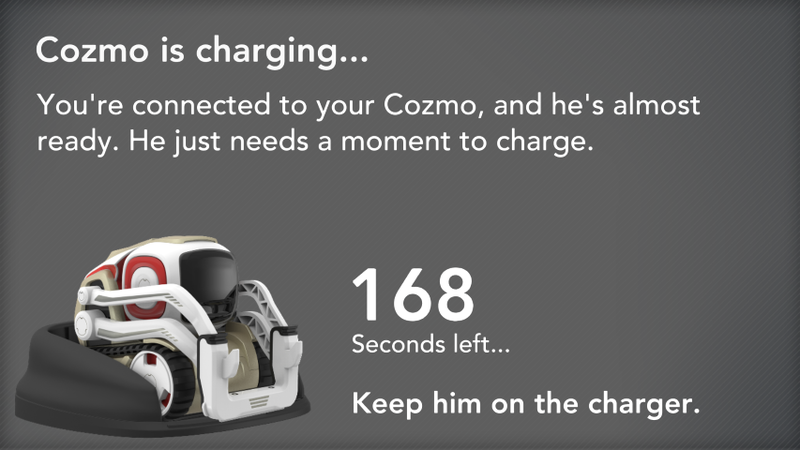 If Cozmo is bored, the obvious solution is that you need to interact with him… very cool. 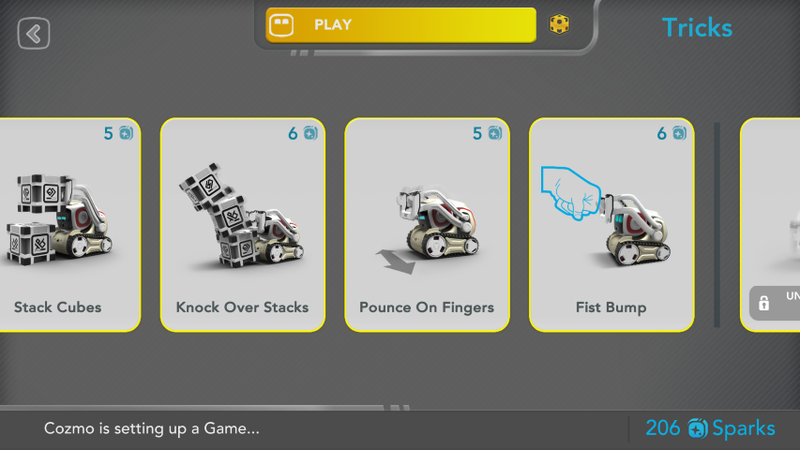 Furthermore, these cubes are used with all the mini-games you can play with Cozmo. 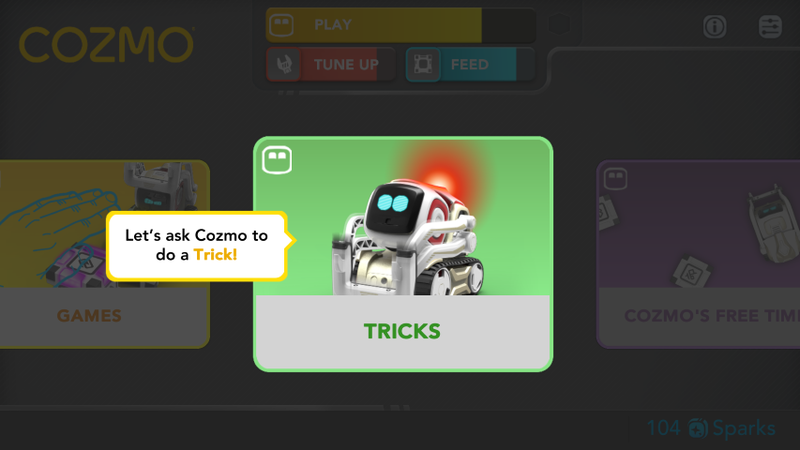 One of the games that you can play with Cozmo is called Quick Tap which is a tweaked version of Snap. 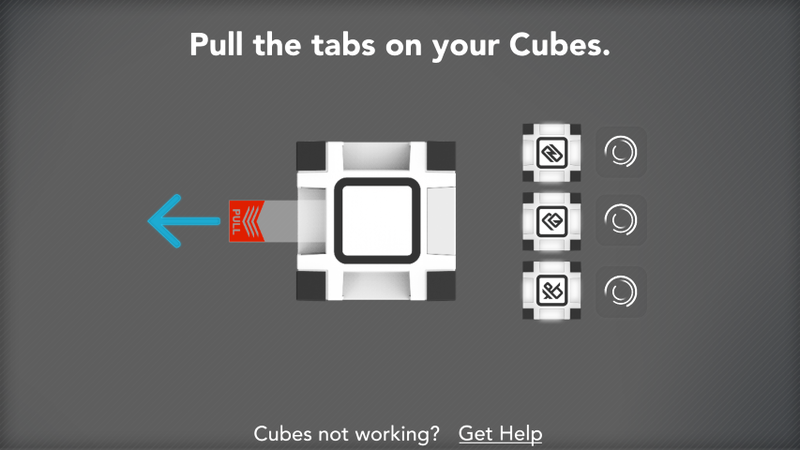 The premise behind it is that you and Cozmo both have a power cube and you need to match your colours with the third cube in the middle by tapping it. While it sounds simple, it’s actually quite a fun game to play and it’s great seeing the expressions on Cozmo, particularly if its losing. 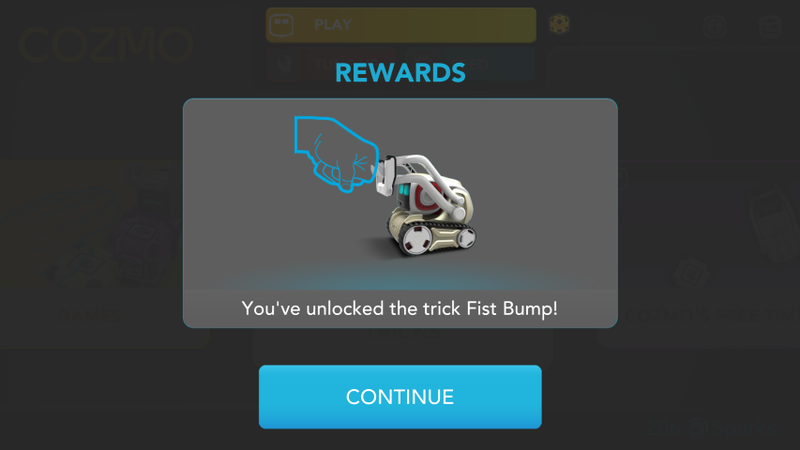 Adding to the Sims-like or Tamagotchi-like experience is play which is an important facet of Cozmo’s genetic make-up that not only makes it happy but also the user. 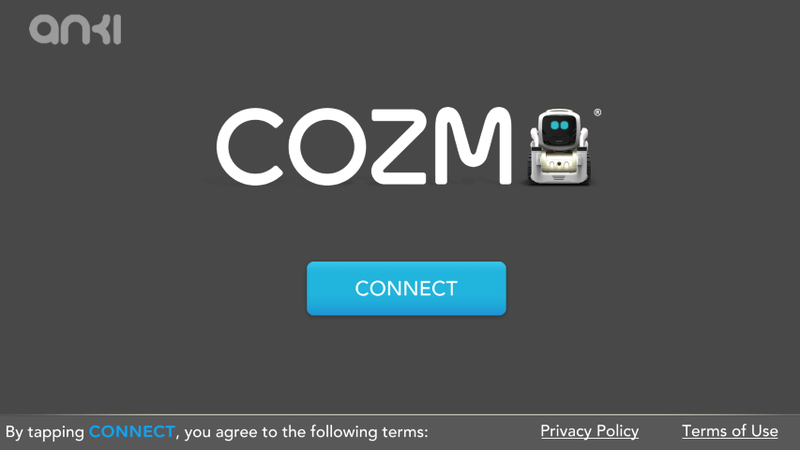 More importantly is the illusion that Cozmo knows who you are as it remembers your face and name but you can add other people as well. 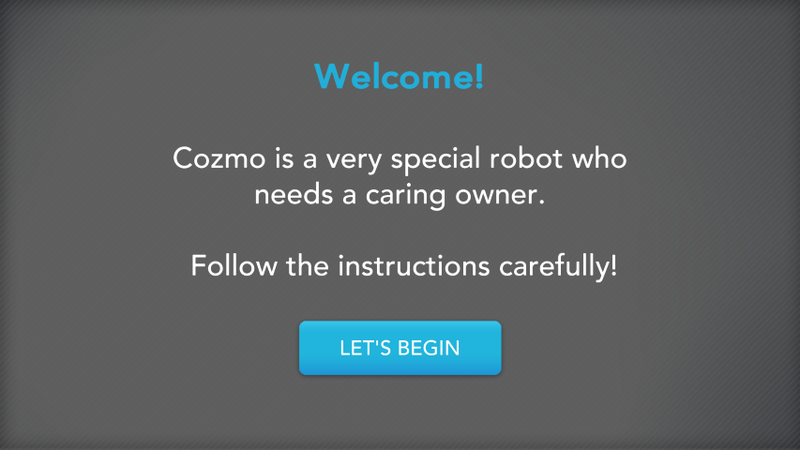 This creates a fun virtual friendship with Cozmo which is made more real with his emotions. Needless to say, these emotions of Cozmo are super cute and seeing the little guy get frustrated is an experience in itself. 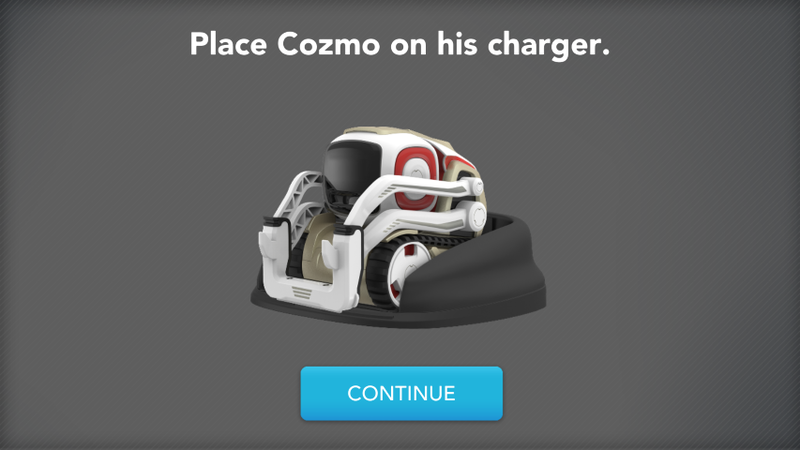 The app also helps motivate the user to keep playing with Cozmo by giving you daily tasks to do. Coding is also done via the app and Anki should be commended in successfully breaking down the basics of coding into visuals. 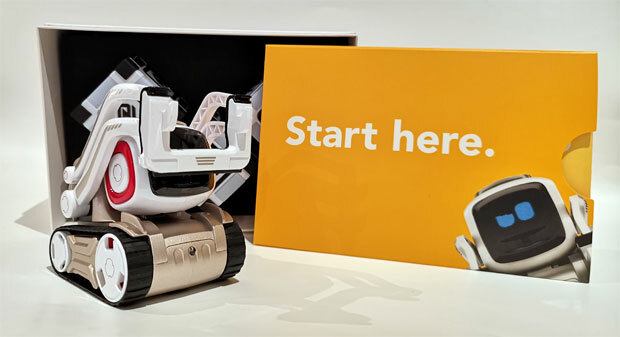 You can even create little stories for Cozmo like displaying an emotion, saying a short sentence (except swearing), quacking like a duck or moving his head down. For such a little robot, the app gives the user a plethora of fun interactive options. 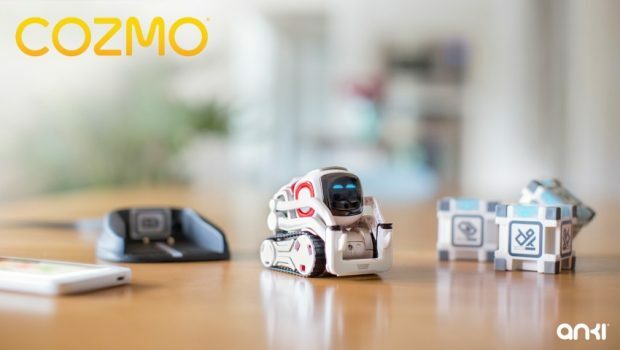 Cozmo is a super fun product that successfully blurs the real-world with that of the virtual world. 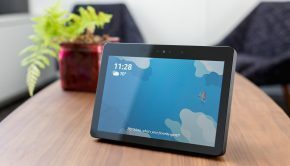 More importantly, it’s fun having a device that you can interact with and will give you hours upon hours of enjoyment and its developer continues tweaking the product in order to keep it relevant. 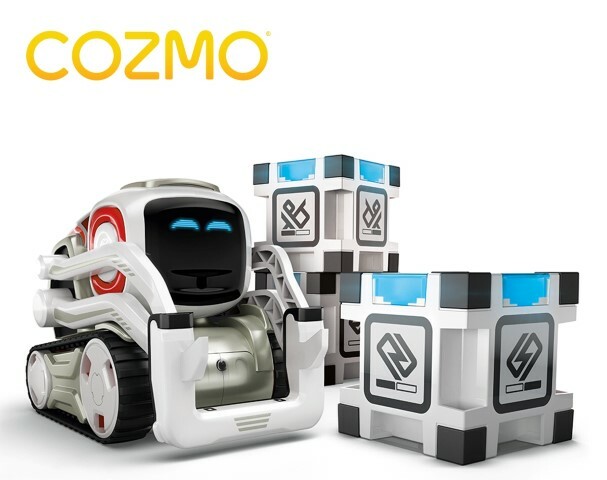 Currently, the super-cute and utterly adorable Cozmo retails for $319AUD and is available online and at all good stores. 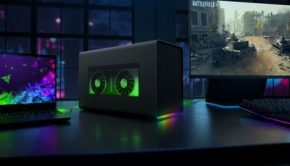 Cozmo’s a supercomputer and loyal sidekick all at once. 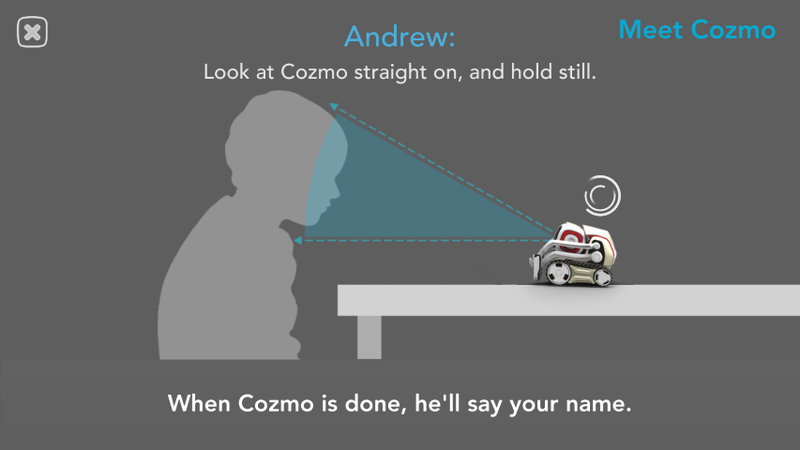 Thanks to artificial intelligence, Cozmo can express hundreds of emotions. From curious to clever, persistent to playful, he has personality x 10. He knows your name, face, and quirks. And best of all, he continues to evolve the more you hang out. 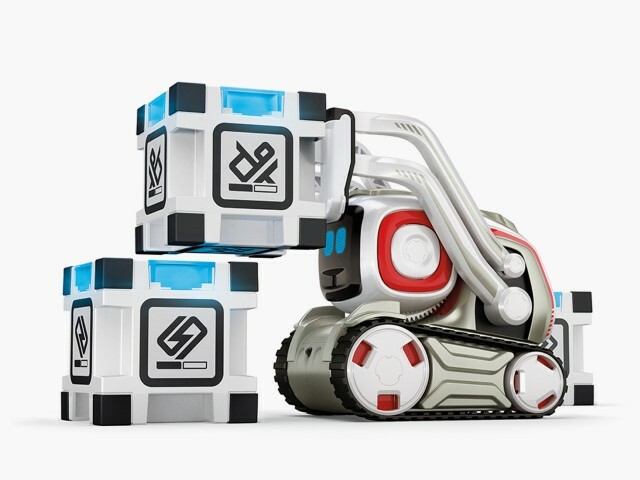 Cozmo is made of 300+ parts that create one super smart, super entertaining robot. He doesn’t just move; he gets curious and explores. He doesn’t just learn; he plots and plans. He doesn’t just see you; he gets to know you. 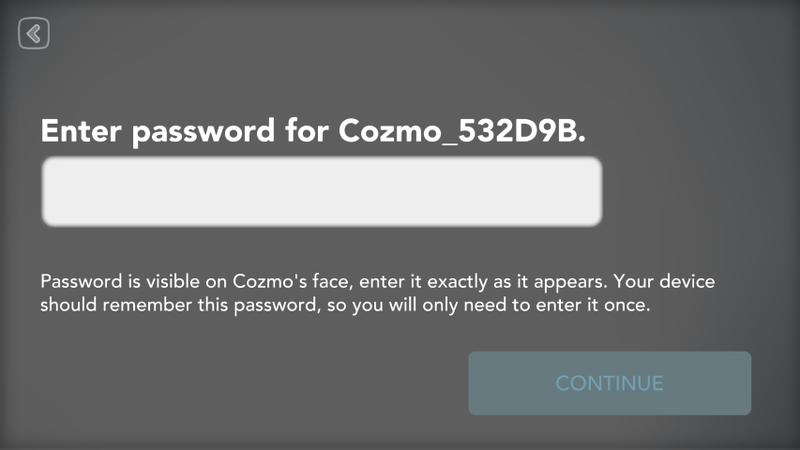 Also, Cozmo is equipped with Code Lab, the perfect platform for new coders. Simply drag and drop a few blocks and you’ll see Cozmo act out your creation. 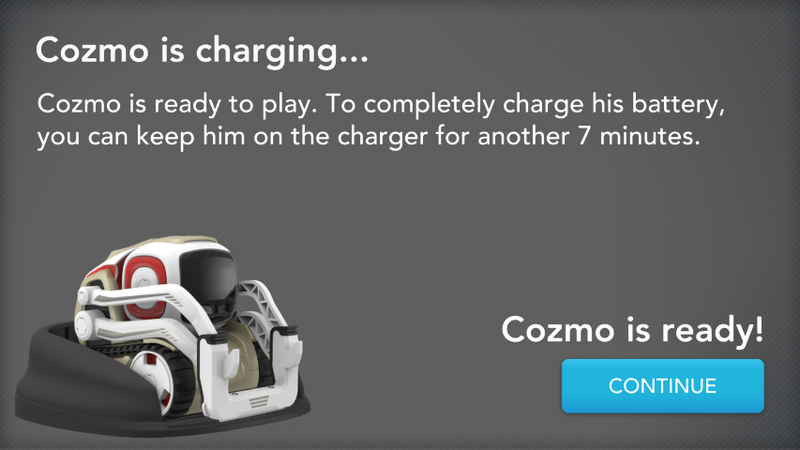 Cozmo is a game-playing machine. Literally. Whether lifting his Power Cubes or challenging you to games like Quick Tap and Keepaway, he’s always up for action. And in Explorer Mode, Cozmo lets you guide him through his environment to see what he sees — day or night. 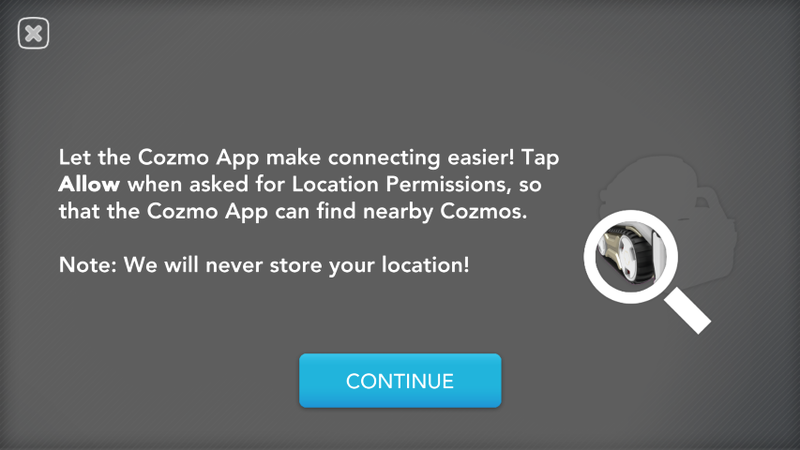 Cozmo’s skills and games are constantly updating, so the fun never runs out. Cozmo is way easier than you’d think and tougher than he looks. 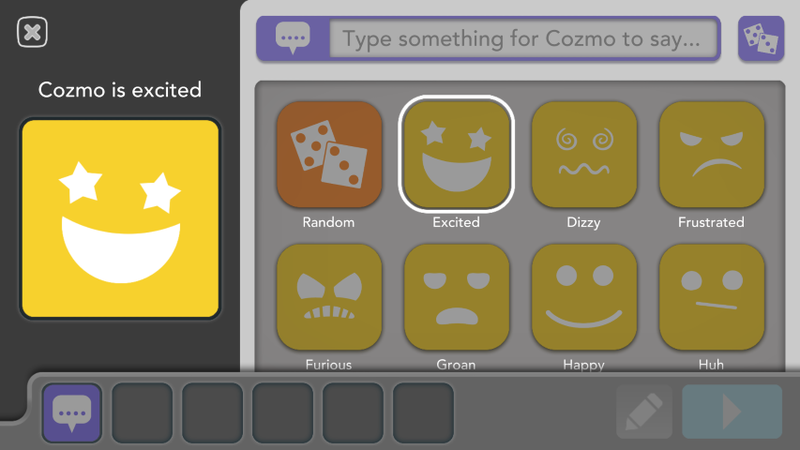 There are no parts to put together, and all you need is a compatible iOS or Android device and the free Cozmo app. 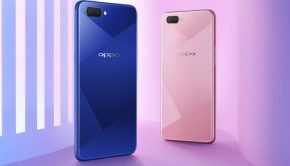 Things like security and durability have all been rigorously tested.